There are many reasons to be counting the days until April, not the least of which is the return of HBO’s Game of Thrones for its eighth and final season, when we’ll finally learn who will reign on the Iron Throne. 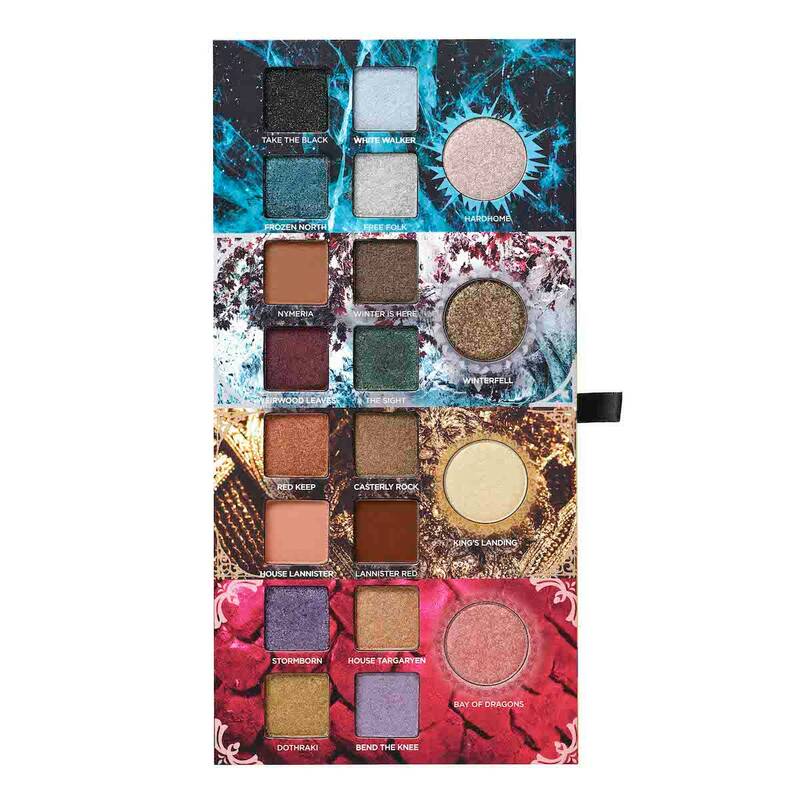 While the world has been anxiously awaiting new episodes and deep-diving into every Internet theory imaginable about Sansa, Arya, Daenerys, and her dragon children, the good people over at Urban Decay have been busy with their own baby: a Game of Thrones collection. The show’s first-ever official makeup collaboration was announced via a somewhat cryptic Instagram post caption on February 22: “WE ARE READY ⚔️ #FORTHETHRONE #URBANDECAY @gameofthrones,” it reads, along with an image that can best be described as fierce. The brand also teased the collection on Twitter, writing, “Worlds will collide,” along with a fire and ice emoji. Back in 2017 there were rumors of GoT makeup, but it never came to pass. Perhaps Urban Decay had the inside track since the company had previously worked with HBO on a collaboration for the show Vinyl. And the network has certainly seemed to lean into the marketing and merchandising of the show as it comes to a close. Remember that Thrones–Bud Light crossover ad at the Super Bowl? Whatever forces made this collaboration a reality, we are here for it. Details on the collection have been mum since the first teaser. But now we finally have our first look at the line, and clearly all our prayers to the Lord of Light paid off because oh my God. The six-piece collection, which is inspired by the women of Westeros, absolutely doesn’t disappoint. There’s a 3-D pop-up eyeshadow palette—literally, a mini throne pop ups when you open it—with shades divided into the four houses. House Targaryen contains smoldering purples and reds, including a lilac shade called Bend the Knee. House Stark has rich jewel tones—including a shimmery taupe named Winter Is Here. And what would a Lannister eyeshadow be without it dripping in gold? Last (and sorry to the Baratheons) the final section of the palette is dedicated to the White Walkers (think frosty blues and icy shimmers). Next up is a Mother of Dragons highlighter palette, made complete with dragon eggs etched into the trio of shimmery powders. The names of the shades? No surprise there: Drogon, Viserion (sobsobsob), and Rhaegal. 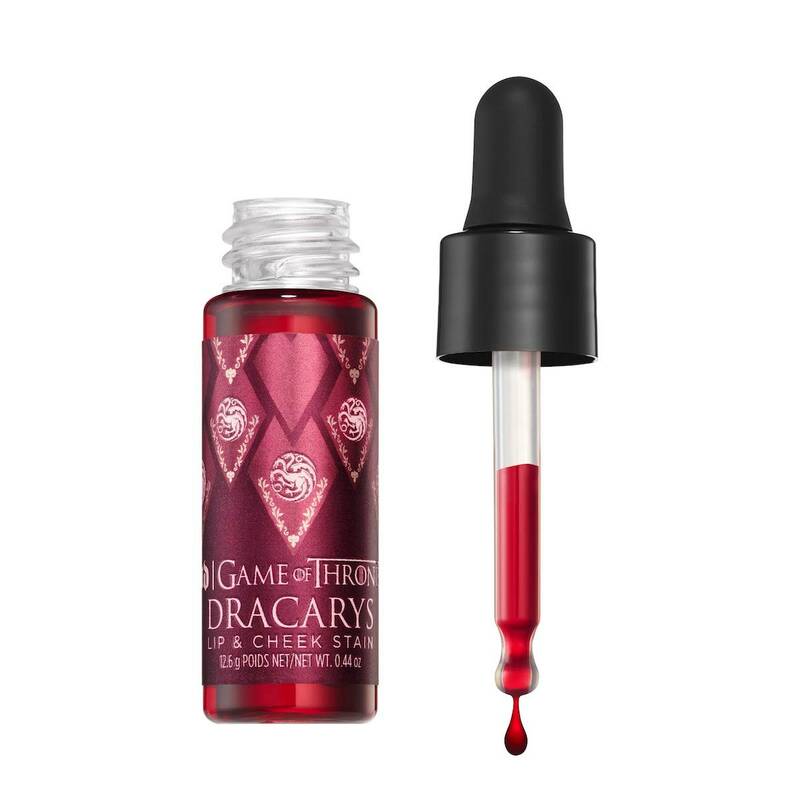 And while we’re on the topic of Daenerys, there’s also a cheek and lip tint called Dracarys that looks wildly similar to a vial of dragon’s blood. Additionally, the collection will include three 24/7 Glide-On Eye Pencils ($22 each), four Vice Lipsticks ($19 each), and finally, two eyeshadow brushes designed to look like Arya Stark’s and Jon Snow’s swords. Yes, Needle! As a makeup brush! You can see them all in this teaser from the brand below. We still don’t yet know when the drop is coming. But from the reactions on Twitter, it’s safe to say the line will be as much of a hit as the show. We’ll be sure to report back when we know more.